Union Environment Minister Anil Madhav Dave's last rites, who passed earlier today following a cardiac arrest, will be performed in Madhya Pradesh's Indore. Minister of State (MoS) (Home) Jitendra Singh told the media about the cause of his death and last rites ceremony. "It was a cardiac arrest. He will be taken to Bhopal this evening. Thereafter, he will be taken to his ancestral place Indore where his last rites will be performed. Talks regarding the same are on with his family and his Madhya Pradesh members," Singh said. Singh expressed grief over the loss of his 'popular colleague'. "We have lost a dear colleague, a very popular colleague. He was popular, both in the Rajya Sabha as well as in the organisation. I am sure his loss will be felt for a long time," he said. Singh appreciated Dave's determination and honesty with which he used to take up work. Madhya Pradesh Chief Minister Shivraj Singh Chouhan announced two-day state mourning on the minister's passing away. Terming it as a great loss to Indian polity, Bharatiya Janata Party (BJP) president Amit Shah said Dave's contribution to Indian politics and environment conservation was incredible. Shah also recollected the important role Dave played in conservation of the Narmada River. "Shocked and deeply pained by the sudden demise of our senior leader Shri Anil Madhav Dave ji. Deepest condolences to his family & friends. Anil ji's organisational skills and connect with grassroots karyakartas was unparallel. He always met me with a warm smile on his face. Anil Madhav ji's contribution to Indian politics &environment conservation was incredible. His passing away is a great loss to Indian polity. 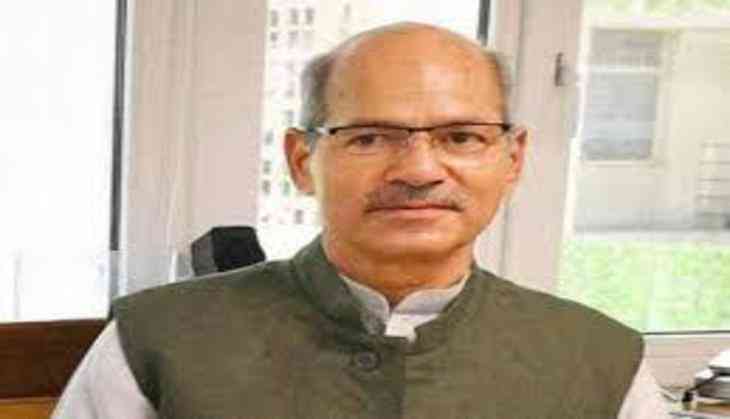 Anil Madhav Dave ji has devoted his entire life for the betterment of society and played an important role in conservation of Narmada river," Shah tweeted. Prime Minister Narendra Modi, Union Finance Minister Arun Jaitley, Union Information and Broadcasting Minister M. Venkaiah Naidu, Goa Chief Minister Manohar Parrikar and Congress president Sonia Gandhi also condoled the minister's death. Dave passed away earlier today at the age of 60.